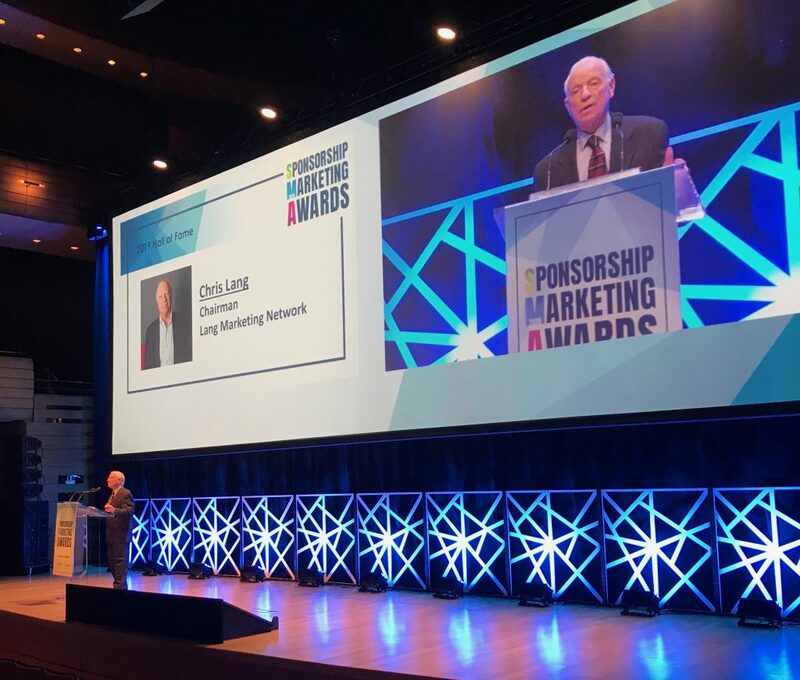 The induction of Canadian sport business legend Chris Lang into the Sponsorship Marketing Awards (SMAs) Hall of Fame on April 4, 2019, capped off a night of honours for top-tier properties, brands and agencies that are positively shifting the sponsorship marketing landscape. Chairman of the Lang Marketing Network, and widely recognized as one of the pioneers of the business of sponsorship in Canada during his 50-year career, Lang has been involved in every Olympic Games since 1968, and is among the founders of Hockey Canada, Participaction and the Coaching Association of Canada. Lang’s vision and leadership has led to the evolution of sponsorship to multi-faceted partnership programs that create value to the consumer, corporation and the property. He has worked with major brands such as Coca-Cola, Samsung, Kodak, Bank of America, IBM, Bell Canada, Royal Bank, Canadian Pacific, Petro-Canada, Canada Post, Purolator, Weston Foods, Labatt, Rogers and CIBC. In 2017, Lang founded the Sport at the Service of Humanity Foundation to continue to grow the movement that champions the concept of values-driven sport.